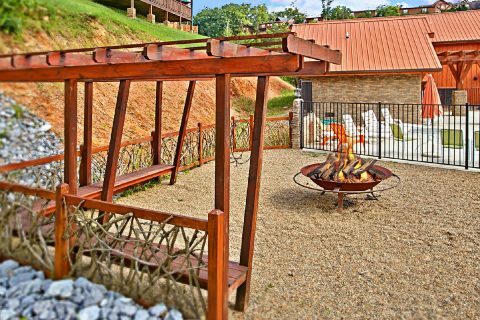 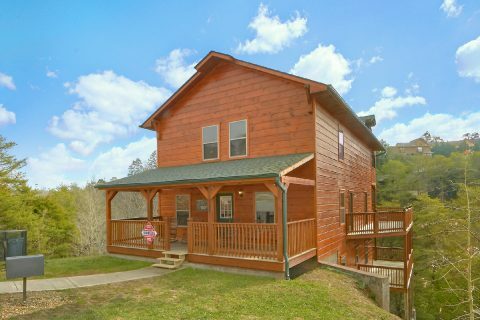 "Crosswinds" is an excellent 6-bedroom luxury cabin located in the beautiful Bear Cove Falls Resort area of Pigeon Forge, TN! 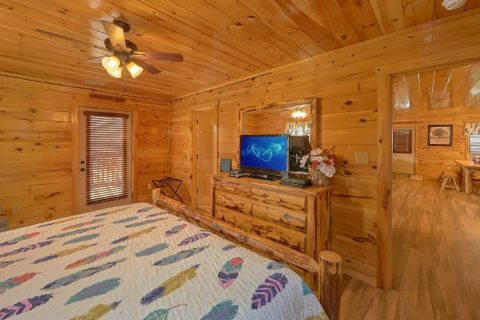 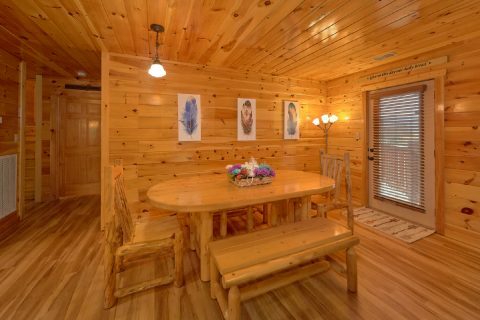 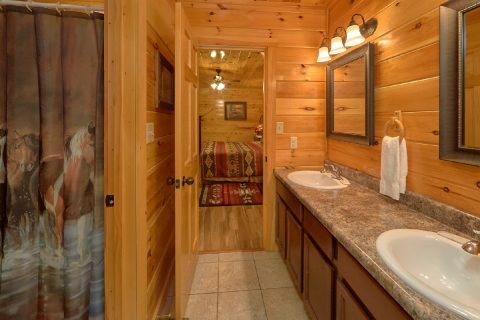 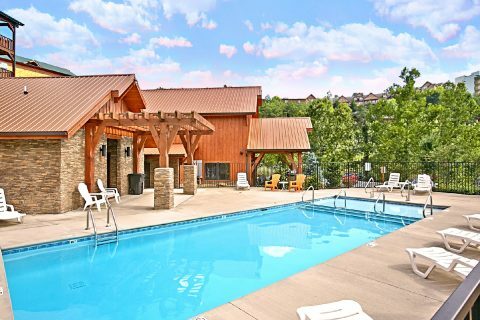 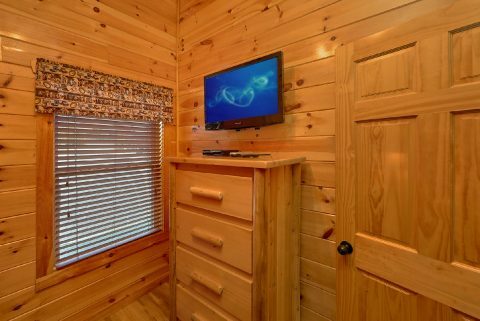 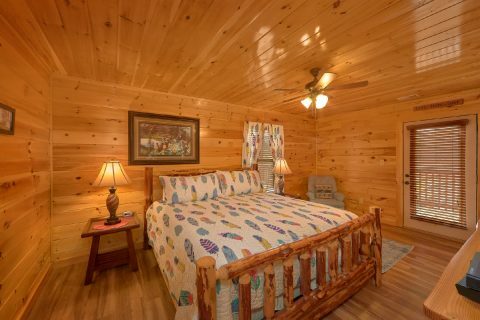 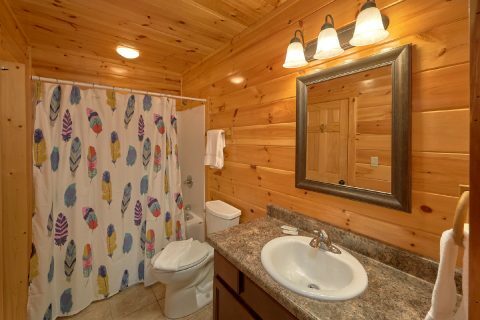 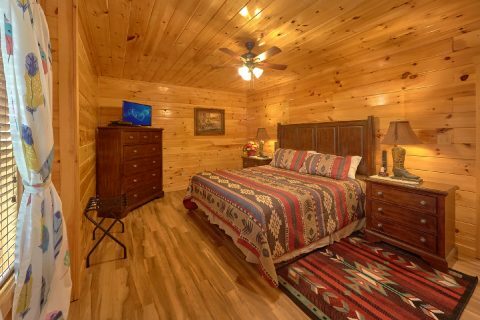 Not only does this cabin keep you only minutes away from Dollywood and Downtown Pigeon Forge, but it also provides you with access to an outdoor resort swimming pool! 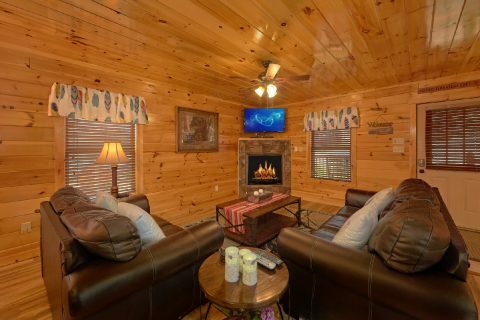 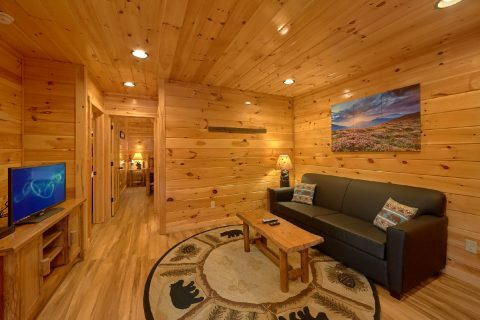 Inside this comfortable cabin, you can enjoy the welcoming living area complete with comfortable furnishings and an electric fireplace. 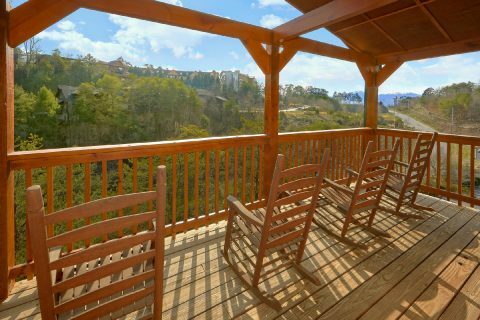 From here you can step out to the deck to sit out in the fresh mountain air. 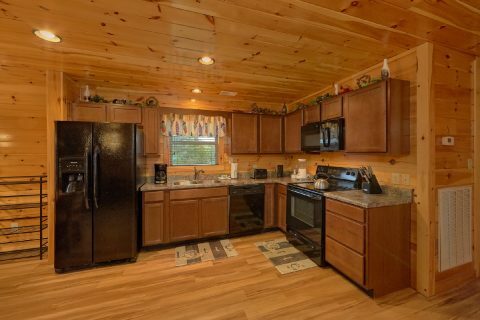 Nearby, there's a fully-equipped kitchen and a dining area with seating for 18 where you can enjoy a nice dinner with your group! 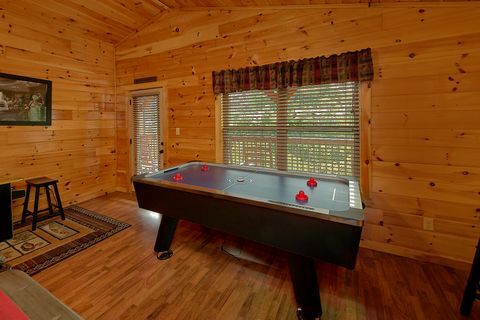 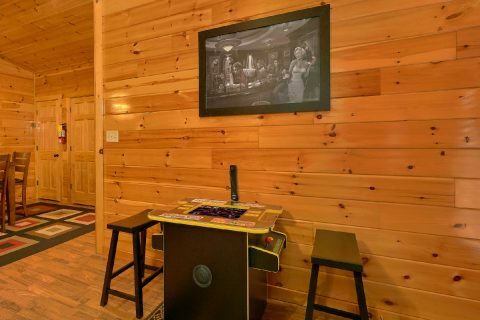 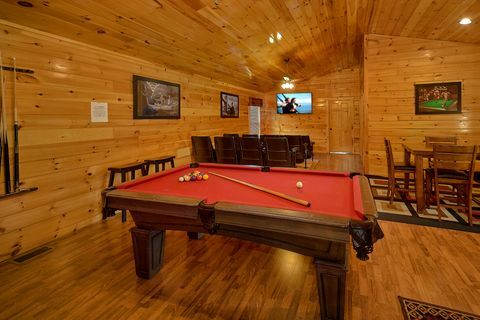 Upstairs, this cabin boasts a game area complete with a pool table and a foosball game where you can enjoy some friendly competition during your stay. 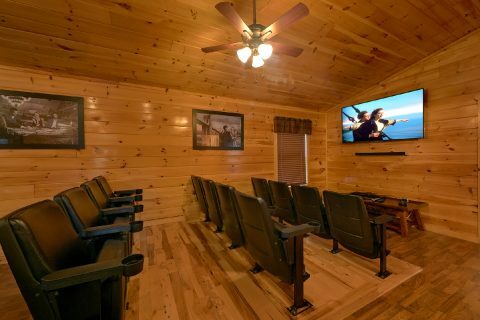 Nearby, there's also a theater room with a Smart TV and Blu-Ray. 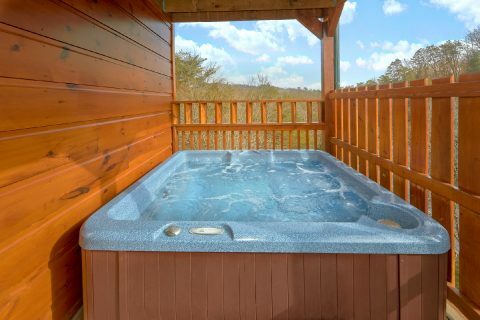 To rest your weary bones after a day of hiking in the national park, you can look forward to a soothing dip in the warm waters of your cabin's hot tub. 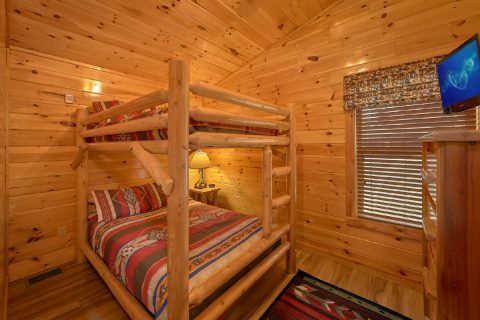 With 5 king-size bedrooms, 1 bedroom with a full-size bunk bed, and 2 sleeper sofas, this 6-bedroom cabin can easily sleep up to 18 guests! 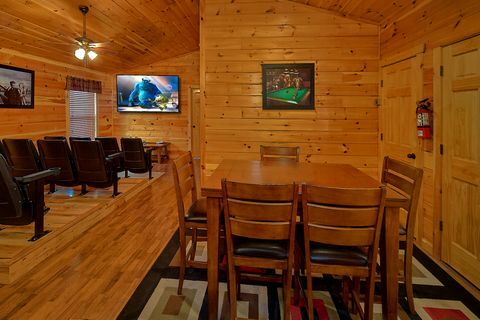 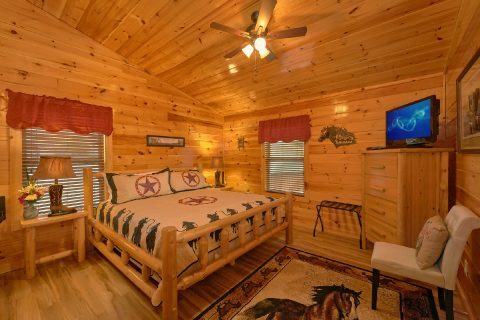 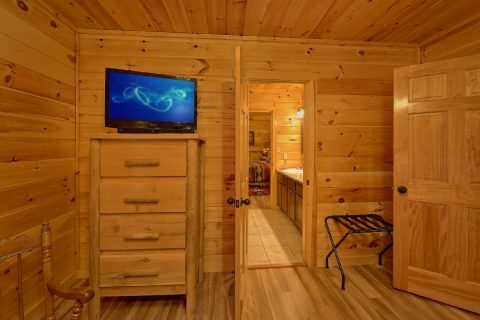 Each of this cabin's king bedrooms come with a Smart TV to help you unwind in the evening. 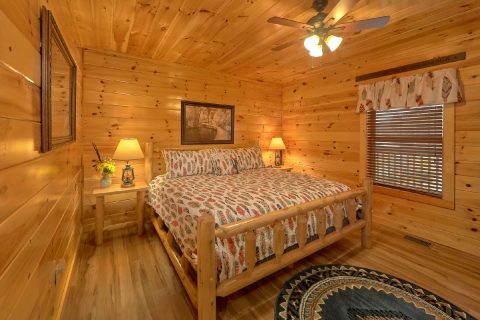 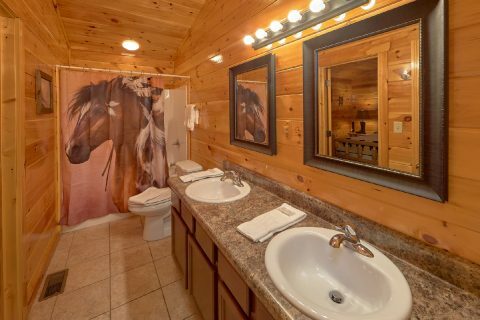 This cabin boasts a total of 4 bathrooms in this cabin, giving everyone plenty of space to get ready for a day of adventure in the Smokies. 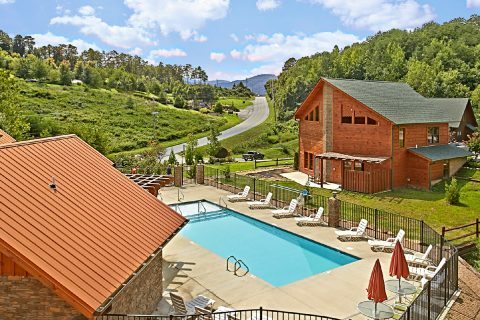 Additionally, "Crosswinds" features useful amenities like a charcoal grill, WiFi, and a washer & dryer to use during your vacation. 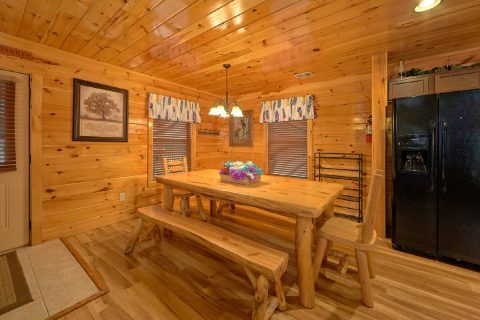 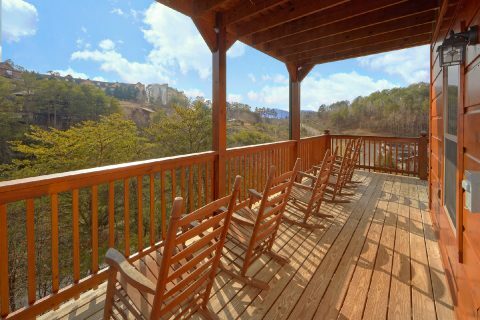 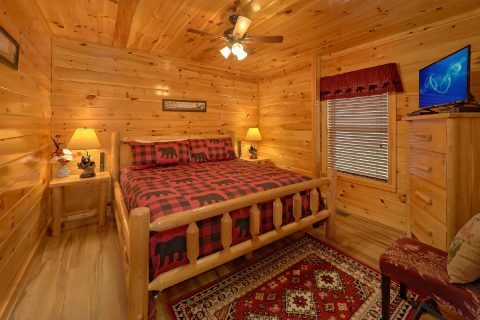 Best of all, you can reserve this 6-bedroom cabin rental in Bear Cove Falls with Cabins USA Gatlinburg to earn a special 15% discount! 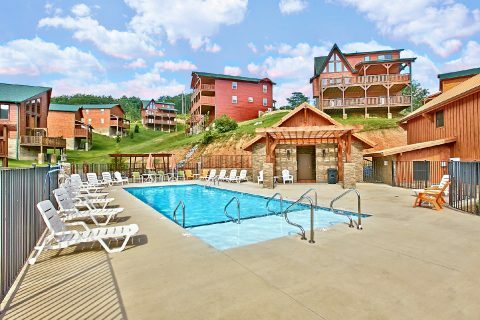 Book today and save on your group vacation to the Smoky Mountains!